If you’ve ever perused my cocktail recipe category, you know I love my Happy Hour. Yes, it’s true that I often spend my one hour of down time getting creative – sometimes it’s crafts, sometimes it’s in the kitchen. And on days where I share that little break with a girlfriend, it’s nice to shake up something new, and just relax! Wine cocktails are growing in popularity, and a nice moscato makes for a great base for a fruity and refreshing drink – like this white sangria I’m going to show you today. It’s the perfect recipe to go along with the 187mL mini bottles (I’ll also show you how to adapt the recipe to a small group using a larger bottle – just read on). Did you know that May 9th is National Moscato Day? It is! Get ready to celebrate with Gallo Family Vineyards, and this crisp and fruity recipe. Let me show you how to mix it up! Slice your citrus fruits, and squeeze 3-4 wedges in the bottom of a 12-oz. tumbler. The flavor won’t be released to be able to mix with the other ingredients if you don’t squeeze them well! Intact slices make for a lovely garnish, but that’s all they will be. These aren’t the prettiest but they will enhance your cocktail with fresh flavors. Next, add a few cubes of ice, pour your wine, rum, and juice, and stir with a tall spoon. You may serve it immediately, or refrigerate a party-sized batch overnight. 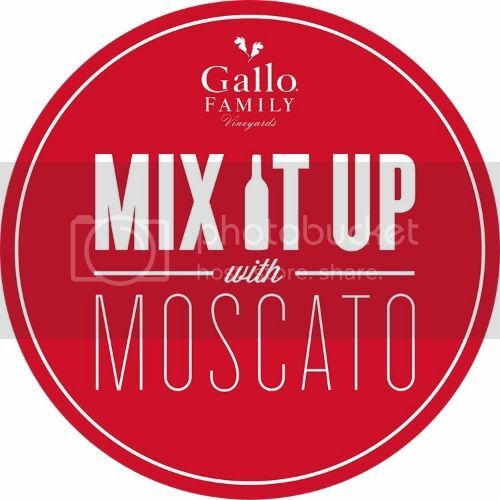 (For a 4-serving batch, a 750mL bottle of Gallo Family Vineyards Moscato, 4 oz. pineapple rum, and 8 oz grapefruit juice. Slice one lime and one orange, and squeeze them into your pitcher). For more inspiration, you can visit the Gallo Family Vineyards Website, and Follow @GalloFamily on Twitter! Not only can you learn more about their wines, but also check out events and causes. Like right now, you can save your Gallo Family Vineyards corks to help raise up to $50,000 for the Meals on Wheels Association of America. 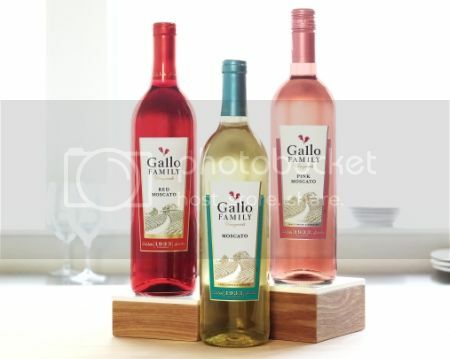 On May 9th, you can celebrate with your friends over a glass of any one of the Gallo Family Vineyards’ Moscato varieties – and join the discussion online at the Gallo Family Vineyards fun Twitter party! There will be a virtual live toast on May 9th at 7 pm ET (4pm PT) hosted by @copykatrecipes and co-hosted by @ModernDayMoms. You don’t need a special invitation, just tag #MoscatoDay and @GalloFamily in your posts, and follow the party hashtag! You can win one of five $100 Visa gift cards just by attending (note: you must attend to win). Official Rules. How will you celebrate National Moscato Day? Thanks Adrianne, I guess some people do use Moscato to fix everything! I use it to fix everything! I was talking about Super Glue! Not Moscato!